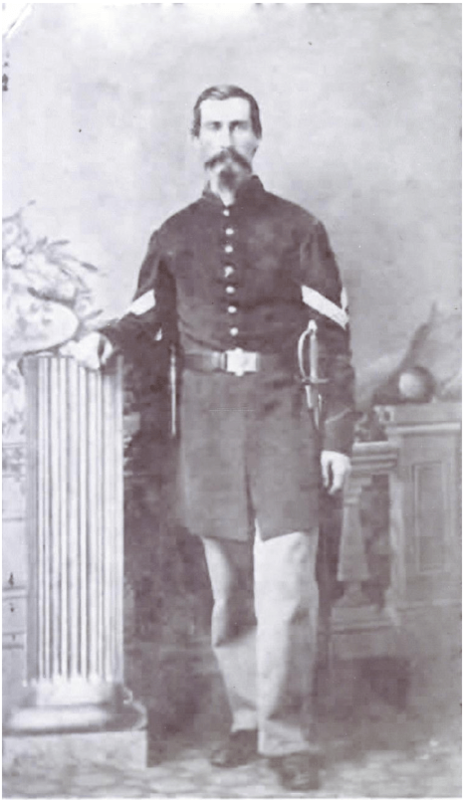 George W. Pillsbury was stationed in Louisiana with the 12th Maine Infantry Regiment, Company C during the Civil War. George Pillsbury was born in Scarborough on November 17, 1834. He was the second child of eight of Charles and Eunice Waterhouse Pillsbury. The Pillsbury farm was located on the Beech Ridge Road and bordered the Dunstan River. The Pillsbury family attended the West Scarborough Methodist Episcopal Church. In 1856, George Pillsbury married Statira Staples of Limington. She had come to Scarborough to teach school. Pillsbury enlisted in the 12th Maine Infantry Regiment, Company C, which mustered in Portland on November 16, 1861. Enlisting along with him were his brother, Edward, and a neighbor, Melville Milliken, who would later become George Pillsbury’s brother-in-law. While the 12th Maine was stationed in Louisiana, George contracted malaria. In 1864, he was discharged due to illness and sent home. While George Pillsbury served in the Civil War, his family lived in Dunstan. The family hired a young neighbor, Hiram Berry, to help around the home. One day, when sent for water, Berry met a Union recruiter and was enticed to enlist. Berry never returned with the water, but went to war instead as one of Scarborough’s volunteers. After recuperating, George Pillsbury bought a farm on Mitchell Hill Road. He farmed and did carpentry work, making a comfortable living. He and his wife had eight children. George died of kidney failure on November 3, 1887. The malaria he contracted in the south was the leading contributor to his death, which at that time was called Bright’s Disease. This entry was posted in People, They Answered the Call and tagged Charles Pillsbury, Civil War, Eunice Waterhouse, George W. Pillsbury, Hiram Berry, Statira Staples. Bookmark the permalink.